Coming from the ancient Sanskrit word for fire (tapas), Topaz is a sparkling jewel that has been valued for centuries. One of the most ancient gemstones, it has been worn by Egyptians to protect from injury. For the Greeks, it represented a strength enhancer, and for the Romans, Topaz was a tool to improve eyesight. 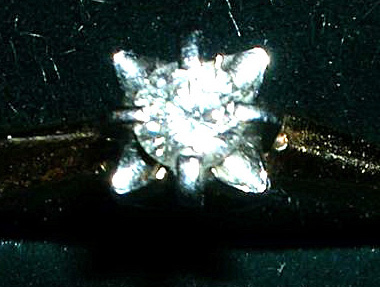 In the Middle Ages, Topaz was revered as a cure for mental and physical disorders. All in all, this gemstone has a great tradition, filled with myths, legends, and real value. Today, topaz is no less valued and revered, both as a metaphysical tool, and as a precious stone. 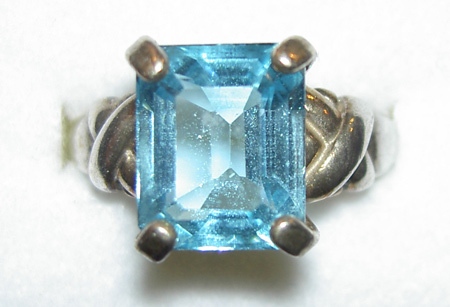 There are two main forms of Topaz: blue topaz and imperial (yellow) topaz. More than the yellow form, the blue form of topaz is revered as a powerful birthstone. Known as the birthstone for November, blue topaz has sparkling features and an amazing clarity that provide enough metaphysical energy to be worn daily. Measuring an eight on the Mohs scale, this gem is an unusually strong stone that will be suitable for wearing every day, with the added benefit of extraordinary beautiful look for many years. Jewelry made of Blue topaz makes a great choice for anyone born in November (Sagittarians). Gifting of topaz jewelry to a November baby shows that you care and look at small details. Anniversary recognition is yet another use for this stone in today’s society. Wedding anniversary are traditionally associated with gemstones, and/or other items associated with the anniversary year. For example, golden anniversary is celebrated after 50 years of marriage and traditionally golden gifts are given. On the other hand, the fourth anniversary is usually celebrated by gifting blue topaz. 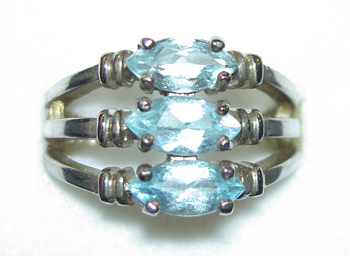 So, a blue topaz jewelry is a terrific way to honor and celebrate this anniversary. Topaz can range in shades from deepest sapphire blue to the palest baby blue. It is such a versatile gemstone that hardly anyone can find an occasion where it cannot be worn in one way or another. For example, topaz necklaces, earrings, bracelets, rings, brooches, watches, hair clips and other jewelry items can be worn. You will love giving and wearing topaz jewelry at any time and any place. Regardless if you are looking to give topaz jewelry as an anniversary gift or as a birthday gift, you can’t go wrong here. Topaz is durable and strong, and makes a great impression. The proof of that is the fact that it is still revered today, as much or even more than the ancients did. The incredible beauty of blue topaz still enchants and hold the interest of people around the globe. Whenever you are unsure, buying topaz jewelry is a wise move. You are getting a classic, timeless, and elegant accessory, one you can always wear and enjoy. You can even pass it down to the new generations to share the excitement and joy. As this stone is a relatively hard, you should do nothing special to protect it. The only precaution, however, is not to put your ring, necklace, or other piece of jewelry resting in a box of jewelry together with harder stones, such as Diamond, Ruby and Sapphire – the only mineral varieties that are than your Blue Topaz. As for cleansing, the best way is to to soak your stone in lukewarm water for 15 minutes whenever needed. Avoid using soaps. Use a soft tooth brush to brush it lightly and rinse in running water. Dry with a soft cloth or let it air dry.